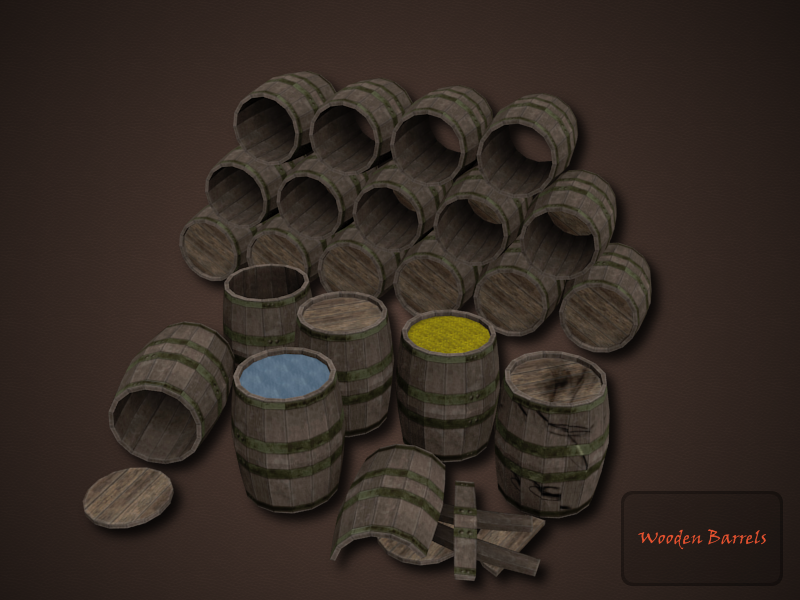 Textured low-poly models of wooden barrels in different states of damage. Available for download from here. 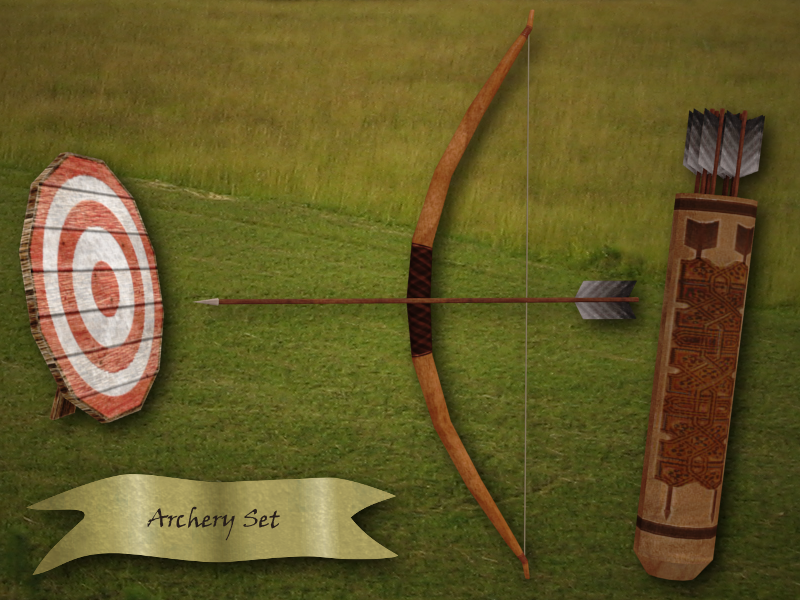 A bow, arrows, a quiver, and a target stand with diffuse, normal, and specular maps included. You can grab them here. Enjoy! You can get them here for free. 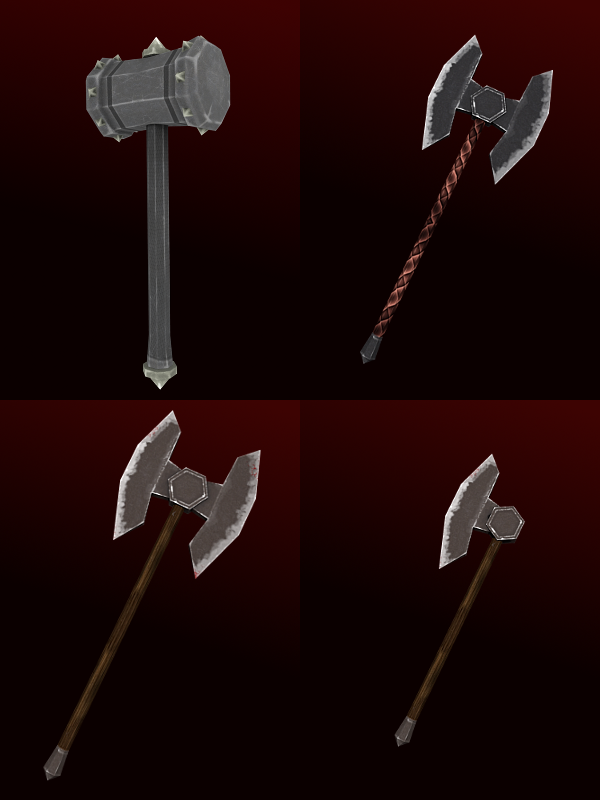 A file, chisel, screwdriver, pliers, and a hammer. You can get them here . 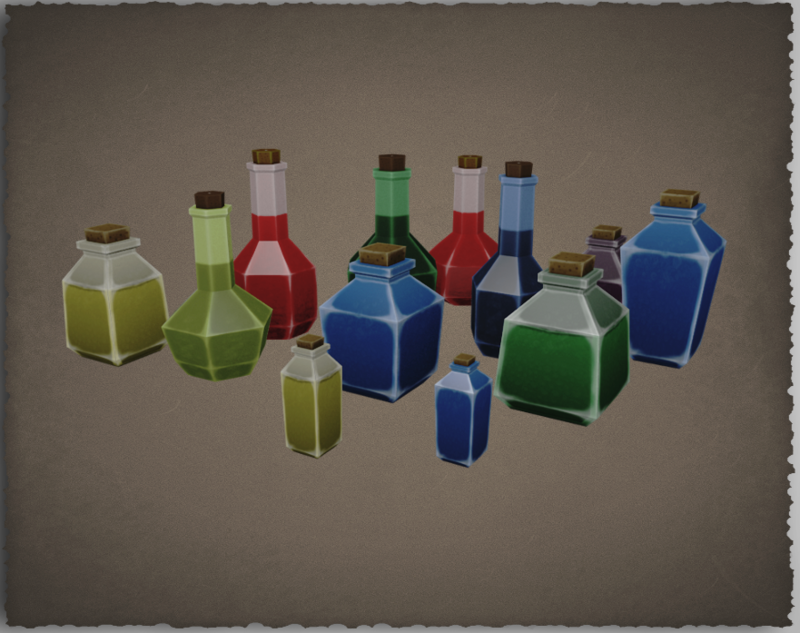 Models are simple, rather low-poly and have only diffuse texture. 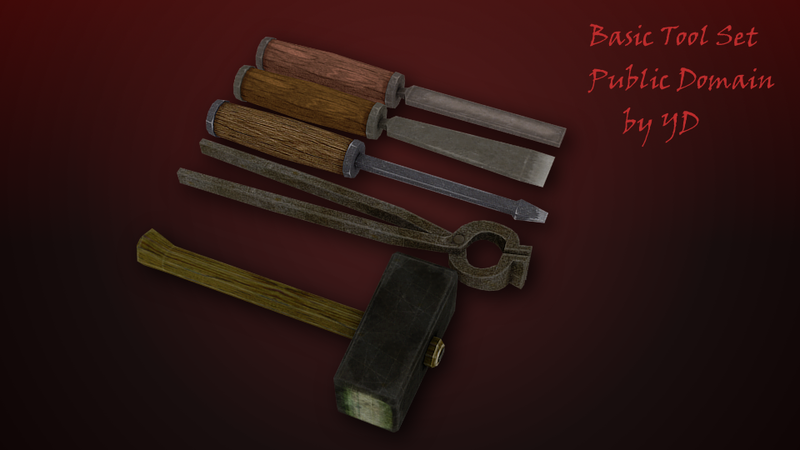 Simple, rather low poly, models with diffuse textures are available here and here. Enjoy! What hero goes into battle without these two things? 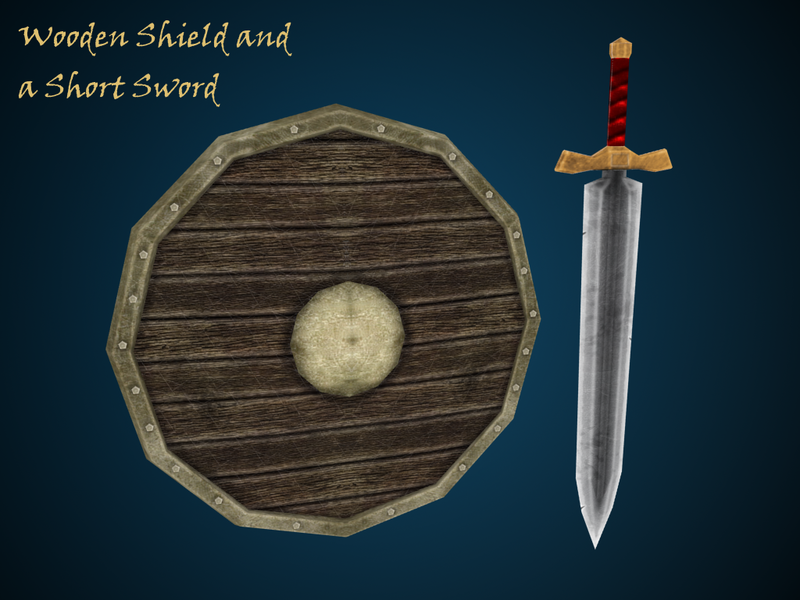 You can freely grab the 3D models together with textures here. 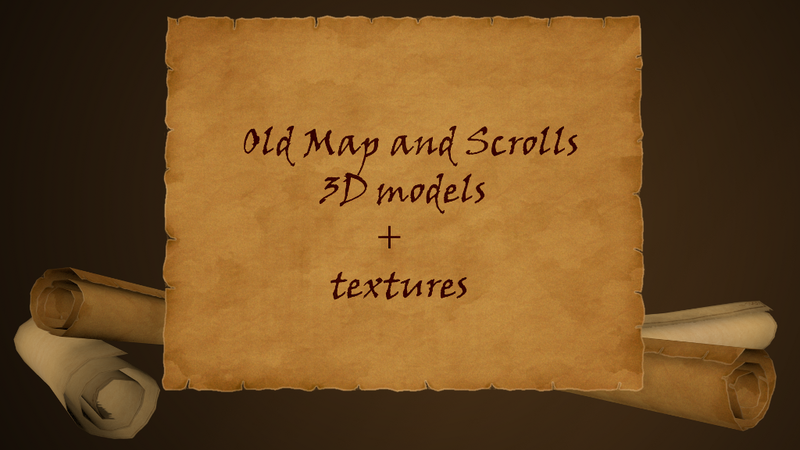 Need a model and/or texture for a scroll or a map in your game? I want to share some with you. You can freely download it from here.